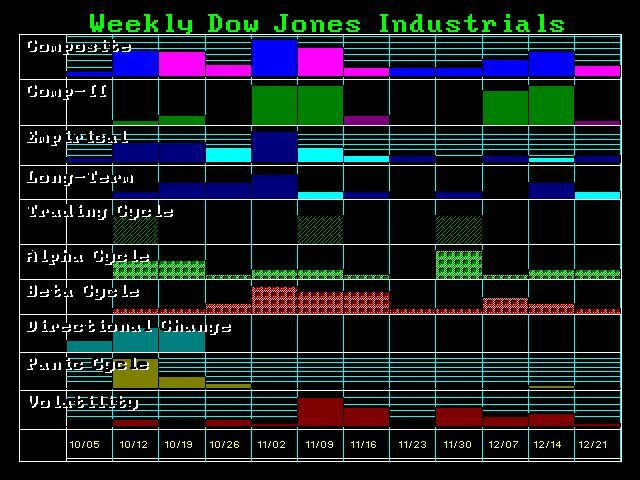 The Dow held the 15500 number on the Weekly level and then held 16280 level. Our models warn that a slingshot becomes possible taking out the August low. On the upside, we still have the major resistance at 17760 and it will take a weekly closing above that level to suggest a breakout back to the upside. Our timing models show a potential high for this week. We need to exceed this week’s high on a closing basis next week to suggest we can rise into the first week of November. 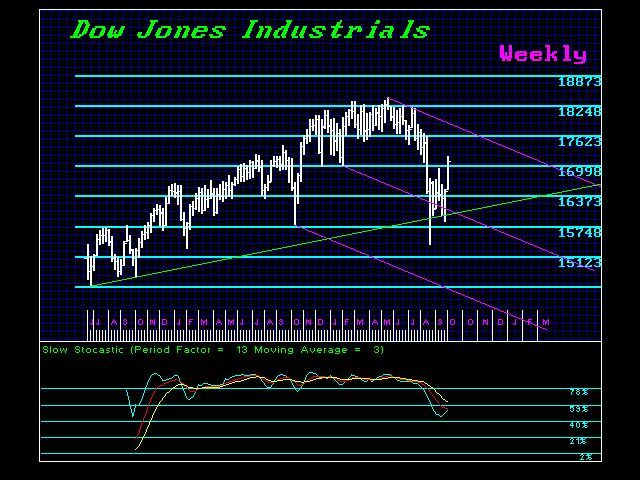 However, a closing today BELOW 17068 will warn that this market is starting to run out of steam on the upside. Everything is pointing to early November. With the budget issue hanging out there, if nobody steps up before the vote, Boehner can try to circumvent the fiscal conservatives and get 40 Democrats to vote with him to defeat the Tea Party. That will probably set in motion an all-out war inside the Republican Party. Keep in mind that the race for Speaker of the House is not really a race, and since the divisions are so deep no one wants to step into that mud. So stay tuned. This is by no means settled in either direction. We continue to bounce off of support and resistance. If you would like to know the real LAW, even I could run for Speaker of the House. That’s right. There is no constitutional requirement to even be a Congressman or hold any elected office. Article I, section 5, of the Constitution provides the House with the authority to determine whether members-elect are qualified to be seated. However, Congress has latitude. For instance, William Claiborne of Tennessee became the youngest person to ever serve in the House when he was elected and seated in 1797 at the age of 22. The House also seated Claiborne at the age of 24 when he won re-election. The House, however, has not always been so lenient. Representative John Young Brown of Kentucky was first elected to the House in the 36th Congress (1859–1861) when he was 24, but the House refused to administer the oath of office to him until he was 25—after the first session of the Congress was over. I wonder if someone will figure this out and step up to the plate as crazy as this seems.